Well I've finally got everything together for my first blog candy!!! My own special Design CD - with exclusive designs!!! I will pick the winner on (or as close to) 12th January 2011. All names will get put into a hat and I'll ask one of my kids to pick out a name!! Finally I'd like to say Merry Christmas to everyone. I hope the festive season is a happy one for you and anyone suffering with weather problems is able to get to where they need to be or at least stay safe and warm at home! 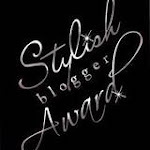 looks like a fab blog candy up for grabs.....hope you gets lots of entries and new followers! Fab candy!!! Will pop it in my side bar for you!!! Lovely candy! :))) Thank you, dear!! Fabulous blog candy, I Have become a follower and have a link to your candy. Thanks for the chance to win! 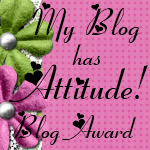 Wow, your Blogcandy is wonderful, thanks for the chance to win. I've linked you on my sidebar and i'm a follower.